This Module gives you a detailed preview of the Rebranded Portal. We advise you save the images here to your mobile devices for a better Zooming Capability. Web stations can click on the images for a better Enlargement. Names and Figures used here are for demonstration purposes only. To every Give Donation, there is a correspondent Receive Donation information. Both of them are connected with a Single Identification number. 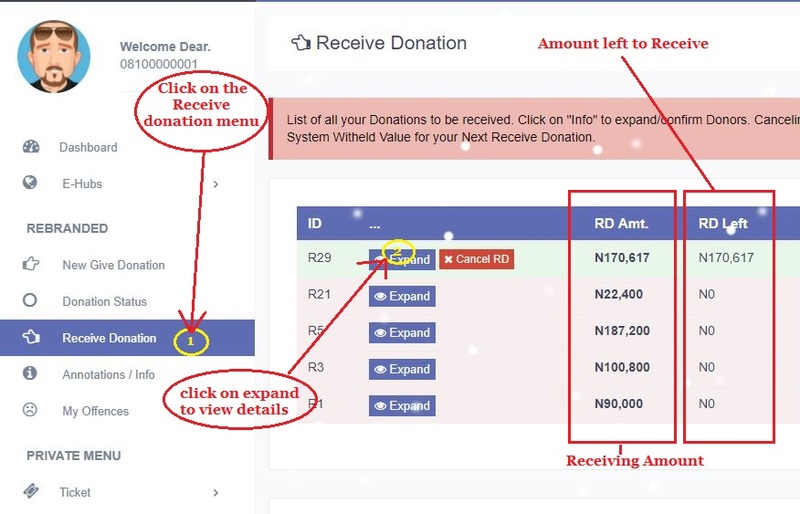 Eg a Give Donation can be G18 while the Receive Donation will be R18. Refer to the Image below for more information. 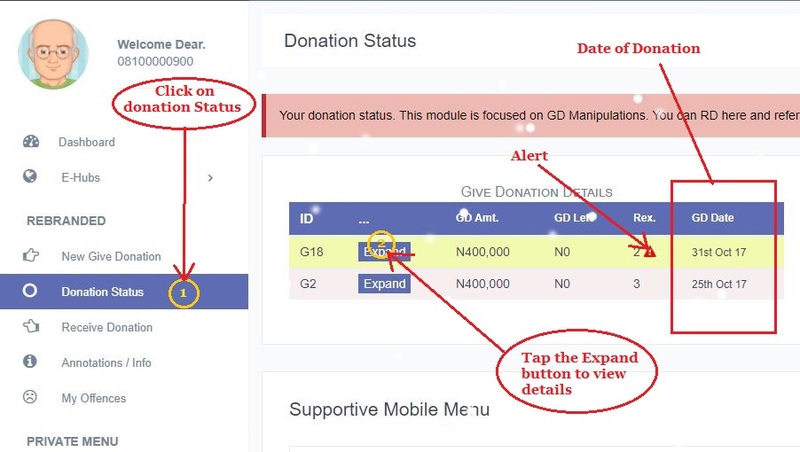 On the donation status page, you can see your GD (Give Donation) date, the amount of GD and the amount left to GD, an alert (Donation that needs your attention), the status of your Receive Donation (Pending, Completed or Running), your Receive Donation total, date and the time left to Receive Donation. After Clicking Expand as explained in Item 2, if you have any Receptor, you will see a similar image above. 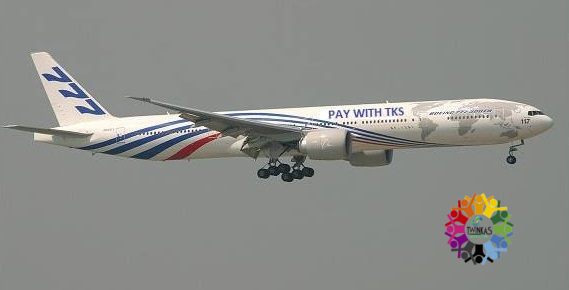 Click on Upload Payment. Kindly note that a Upoading a False Proof of Payment attracts 3 Count Charges. 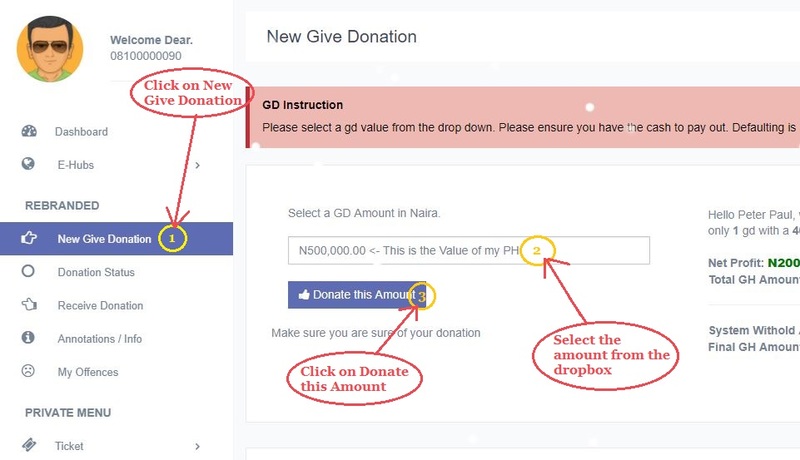 After Uploading your Proof, you will be redirected your donation page. We have enhanced the image uploader to view live image as they are selected. A green background means your Receive Donation is active. 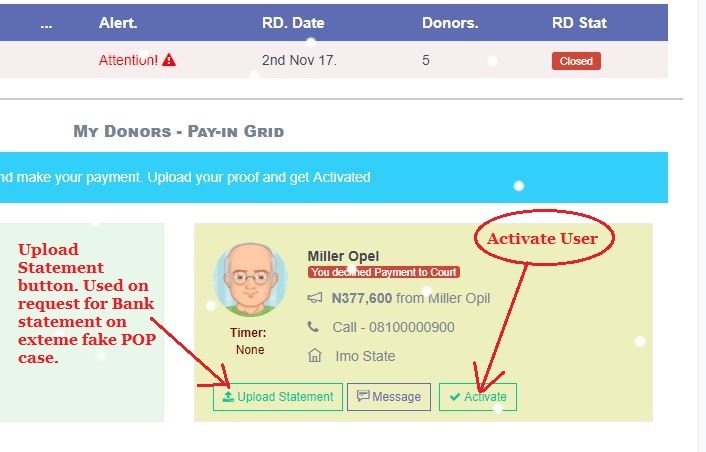 A red background means you have been completely assigned donors or your Receive Donation is completed. You can see the amount of Donors here also. A triangle sign means that the column of Receive Donation needs Attention. Click on the Upload Statement button and this will open up an advanced Image uploader panel. Click on the Upload File button and wait for Twinkas to take action. The company was founded by a team of enthusiastic humanitarian specialists who wanted to overcome the routine and create a platform that would act in the market not only for business success but for the sake of humanitarian and financial empowerment services. TwinKAS was created with the following mission: "to promote the greatest good, with a particular emphasis on helping man and the environment.